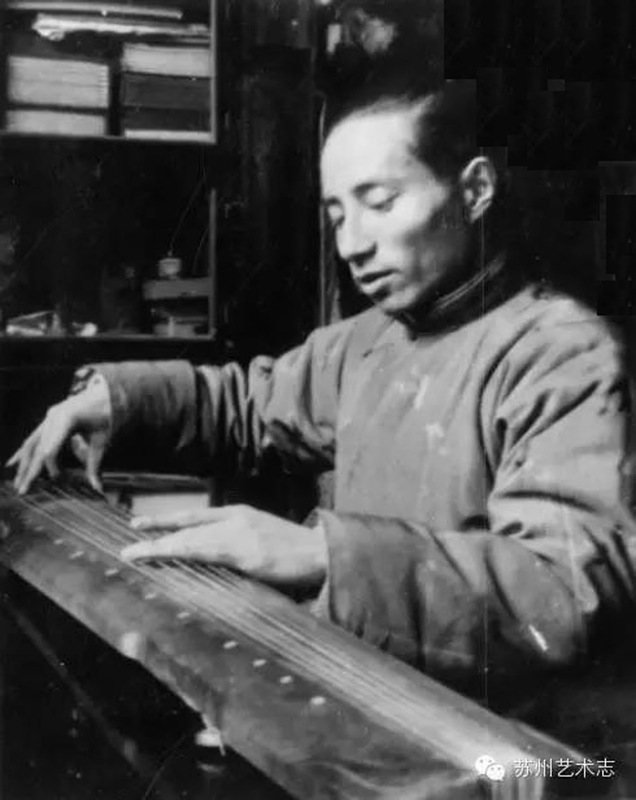 Traditional analysis can be philosophical or cosmological as well as musical.2 As for musical analysis, this requires musical examples and historical data, and for collection, preservation and descriptions of this we are most greatly indebted to the guqin work of 1956 led by Zha Fuxi. Regarding the photo at right, Zha Fuxi, Pu Xuezhai and Guan Pinghu were all qin players. 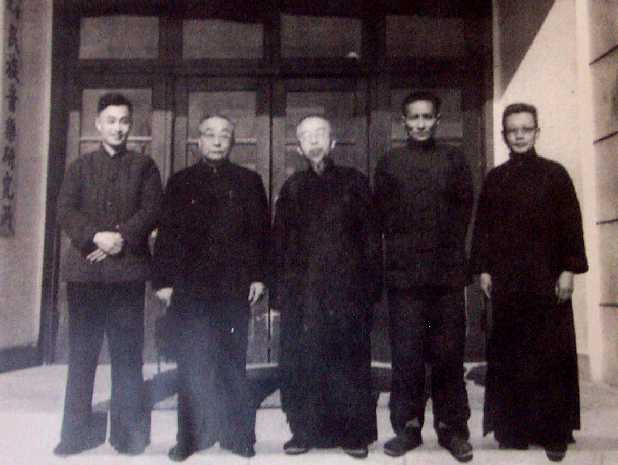 Li Yuanqing was then Director of the Music Research Institute, while Yang Yinliu was probably the most important historian of Chinese music in general. "作 Zuo": Was qin music "composed" or ?created"? - To what extent can one call qin melodies "compositions" in the general Western sense? This photo, dated 1954, was copied from Zha Fuxi: Qinxue Wencui. 楊蔭瀏 Ernest Y.L. Yang. 2009. 《琴譜》 The chin music. As a side note, Yang Yinliu's name was listed in a 1930s Chinese Protestant Church hymnal as "Ernest Yang". Thanks to Woo Shingkwan for sending me a pdf copy of two relevant pages, as well as the above reference. He was apparently 聖公會 an Anglican (see the Chinese Wiki). Hia arrangement of Yangguan Sandie as a church hymn is mentioned here. 李元慶 Li Yuanqing was apparently an administrator. Attitudes towards the qin can vary depending on the background. This is discussed in detail in an extended essay (in Chinese) 劉承華 Liu Chenghua called 文人琴與藝人琴關係的歷史考察 (An historical examincation of the relationship between scholars' qin and artists' qin).